In the market for a good looking family car? 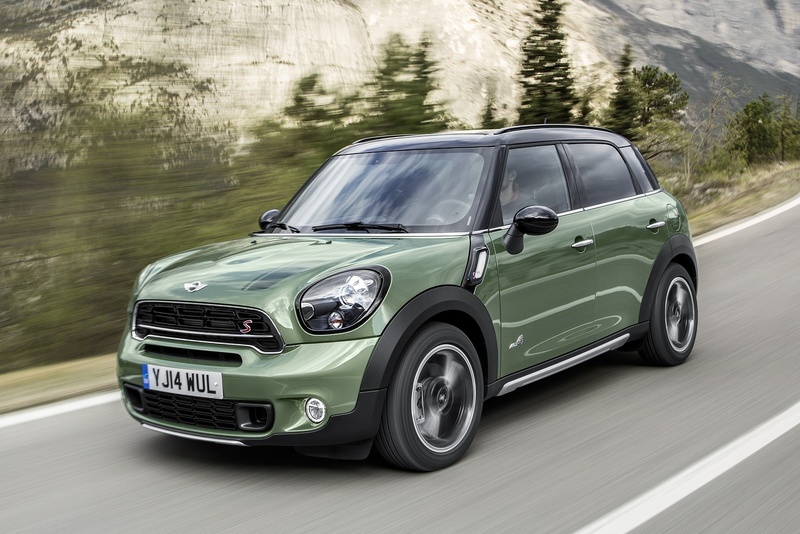 The MINI Countryman Hatchback could be the answer but how does it do up against Honda & Audi? 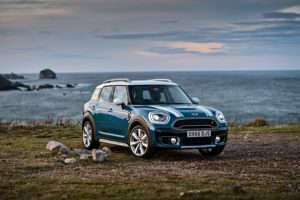 The brand new MINI Countryman Hatchback packs everything we know and love about a MINI into a compact and robust body style - good looks, a keen sense of fun, and economic engines. There is plenty of space, while a roomy boot is a huge bonus. As far as family cars go, they don’t come much more entertaining than this one. Although it’s never going to be held in high esteem by MINI purists who never thought they’d live to see such a useable MINI, it will strike a chord with buyers who love MINIs but who need something for all the family. Are you in need for a Hatchback that can fit the whole family? The MINI Hatchback would be a wise choice but how does it compare to Audi & Citroen? The cheeky new MINI Hatchback might be a bit more practical than it used to be, but it’s retained its keen sense of fun and adventure. And while its engines are now more powerful, they’re still pleasingly efficient. Improvements all-round, then, for this firm British favourite. 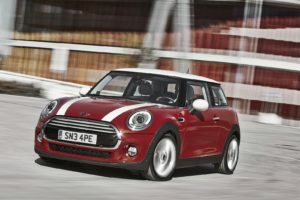 It’s family friendly too, looks classically MINI, and comes with the option of five-doors. It’s hard to argue what more a buyer could want from a modern day Hatchback that’s at worst a junior version of a BMW. 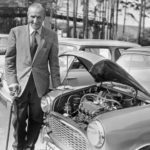 The original Mini has been named the best British-built car of all time according to Britain’s most influential car bosses and Auto Express. The original Mini beat the likes of the E-Type Jaguar and the Land Rover Defender to the top spot after a rigorous voting process to find the best-British built car.Beating 75 models that rolled off production lines in the UK, the judges were asked to pick their top 10. This was to be based on sales, groundbreaking design or unbeatable performance. Judges included Aston Martin CEO Andy Palmer and Ian Robertson, BMW’s sales and brand board member. The Mini Hatch is one of the biggest automotive success stories, becoming nothing less than a cult icon in the eyes of many. Now on its 3rd generation since its dramatic re-launch back in 2000. How does this new model promise to be better? The Mini Hatch has always been about cheeky brand appeal, fun, if a bit rough around the edges, driving. The Mini Hatch naturally bases itself on the usual Mini formula, but with some dynamic differences – here they have made the Mini more mature. This might sound at odds with the spirit of Mini-ness, but rest assured they have preserved the best aspects of what everyone knows and loves and combined it into a new model which is bigger, more refined, more eco-friendly, higher quality and generally just better all round. This is the all new and improved new Mini Hatch. 2014 Mini Countryman Specs – A 4 Door Mini? Mini have released yet another overinflated, beefed up revision of an older model. This time its the Countryman. For the first time ever a Mini has 4 doors! The outgoing countryman was a 2 door, coup esque design. The new MINI Countryman starts from £16,990 OTR and is available to order from MINI dealers nationwide in late spring. Love the styling of the traditional MINI, but have more than two grown-up friends? Then the 2014 Mini Countryman might be the ride for you. It packs all the MINI panache, and provides four doors for accessing full sized rear seats, actually made for human utilisation. 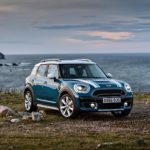 In addition to two extra doors, the Countryman adds 37cms of length, 10cm of width and 15cm of height to the standard MINI. The Countryman name stems from the old Austin designation for estate cars, but this car is not geared towards senior citizens trying to reclaim their automotive past. The five-door hatch is designed to appeal to a younger audience with its rugged, AWD rally car personality. 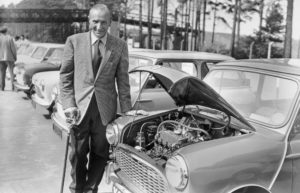 The MINI has always been a niche vehicle. It’s cute as a basket of puppies, yet doesn’t evoke questions of the driver’s masculinity the way some retro-compacts do (think Volkswagen Beetle). This potent combination has made the MINI a fashionable object of desire for decades, but its minuscule size also made it impractical. With the 2014 Mini Clubman, Mini hopes to meld style and sensibility. Both cars are based on a payment profile of £2,000 + VAT deposit followed by 23 payments of £149.00 + VAT, allowing for 8,000 miles per annum, however, this can be adjusted to suit personal requirements. Vehicles are available for September delivery and at these prices will sell very quickly, so to secure yours call our team today on 0844 686 4000. What’s that- 26p an hour car hire around London?! Taking inspiration from the ‘Boris Bike’ scheme, the docking station is located in the West End’s bustling Berkley Square and will run from 0800 – 1800 until Thursday 6th December for commuters to experience driving fun in a MINI Cooper for less than the cost of a chocolate bar. The initiative comes off the back of new research revealing that Londoners have the least amount of fun in Britain, followed by their counterparts in Manchester and Birmingham – with 142, 148 and 152 minutes fun-time daily. This is compared to a smiling Swansea whose residents manage to find more than four hours (244 minutes) to enjoy themselves each day. 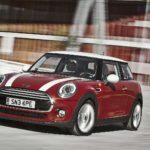 The cost of just 26p is an hourly rate based on a finance package of just £189 a month for a MINI Cooper (plus deposit) – a special finance offer designed to make MINIs more affordable.